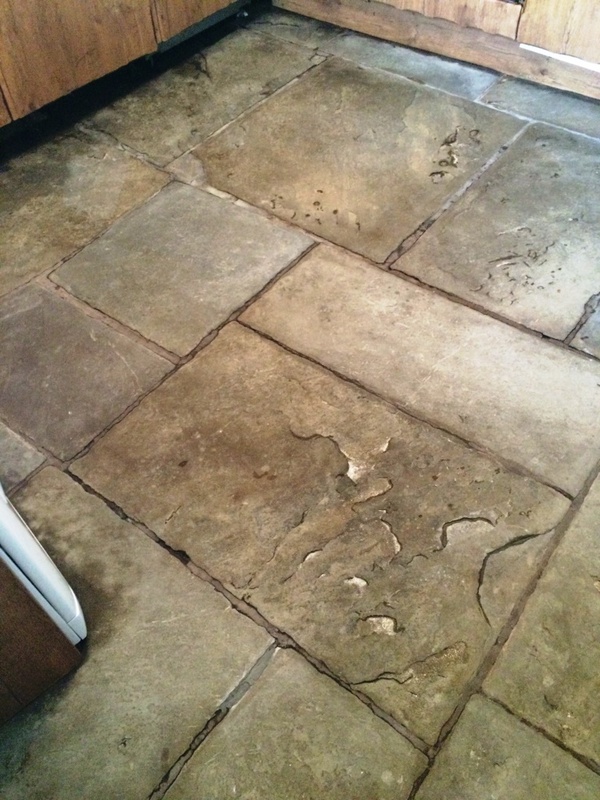 Due to the numerous coatings that had been applied to the floor it was necessary to completely strip off the coatings back to the bare stone. 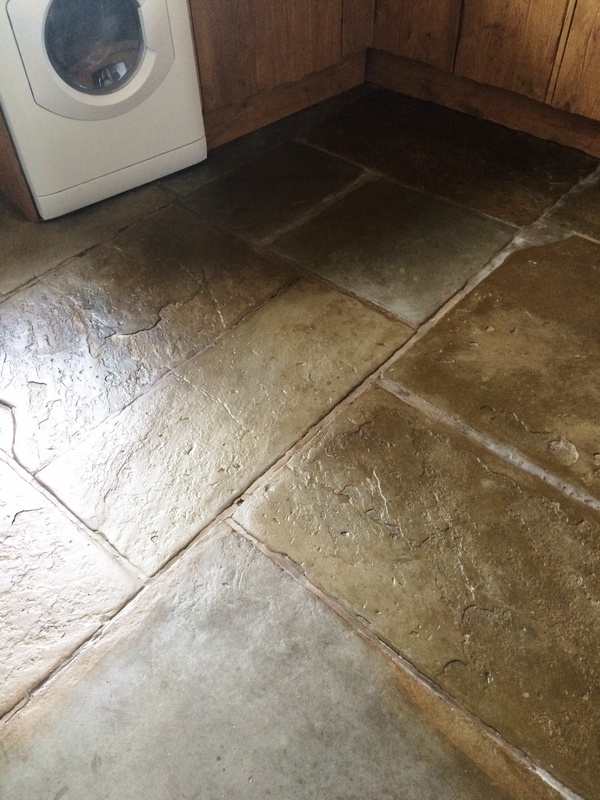 To start I used Tile Doctor Remove and Go which does what it says on the bottle and removes coatings from tiles, the product was diluted with water and left to soak in before being scrubbed in using a Black Scrubbing pad fitted to a rotary machine. The now dirty cleaning solution was removed using a wet vacuum and I could see that the Remove and Go had removed most but not all of the coatings so it was time to using something stronger. To do this I applied NanoTech UltraClean which is a gel that is left to soak into the floor for thirty minutes before adding water and then agitating with the black pad. The floor was rinsed with water and the solution removed with the wet vacuum. At this point I could see that all the varnish and dirt had been removed so I gave the floor a final wash down with clean water to neutralise the floor before sealing and left for the evening so the floor could dry overnight. 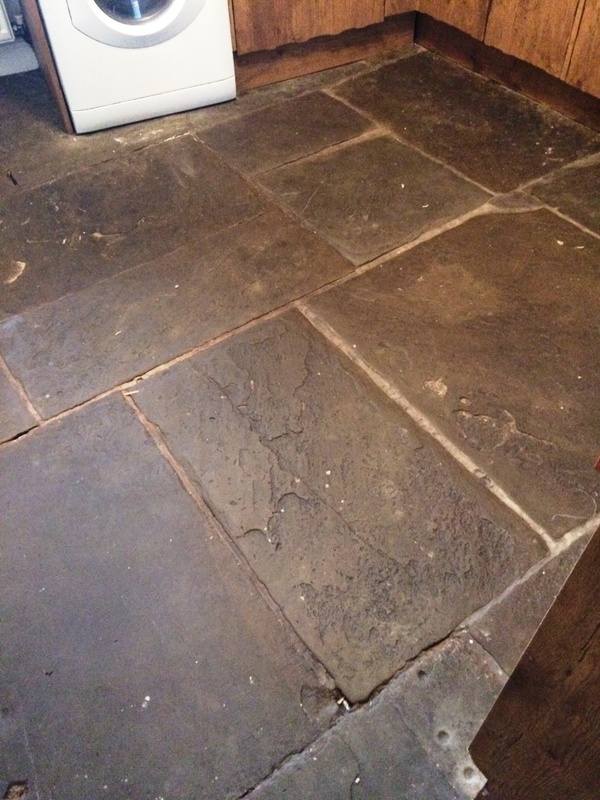 I came back the next day and tested the floor with a damp meter to confirm the floor was dry and then proceeded to seal the floor with Tile Doctor Seal and Go applied with a paint pad which gave the floor a nice low sheen finish that the customer requested.